The GSW220 is powered by the world class Perkins Diesel engine and produces clean power thanks to the Italian manufactured alternator including digital voltage control for accurate supply. 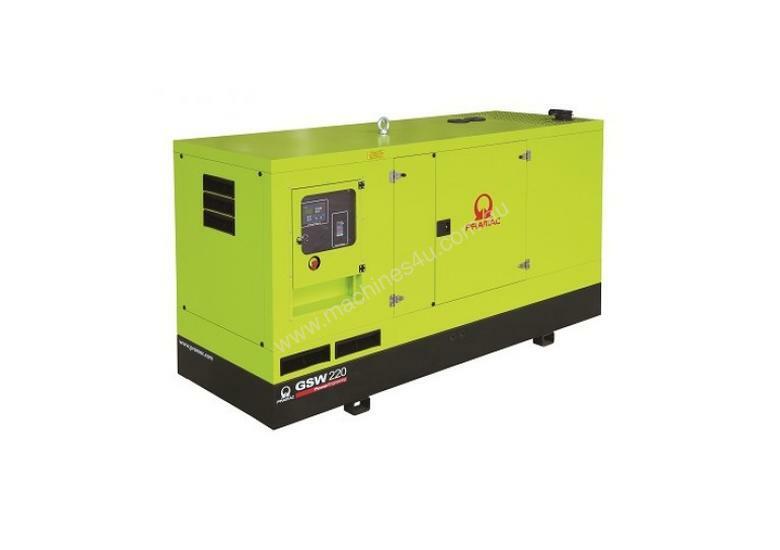 Producing 220kVA of output, the generator can run for more than 10 hours at 75% load. Fully complete with comprehensive safety features including low oil / high temp shutdown/alarm and voltage control safeguard. World renowned for being the brand of choice for larger commercial power needs, Pramac generators are manufactured in Europe and fully pre-delivered and tested in Australia by an expert authorised distributor who provides a National service network.